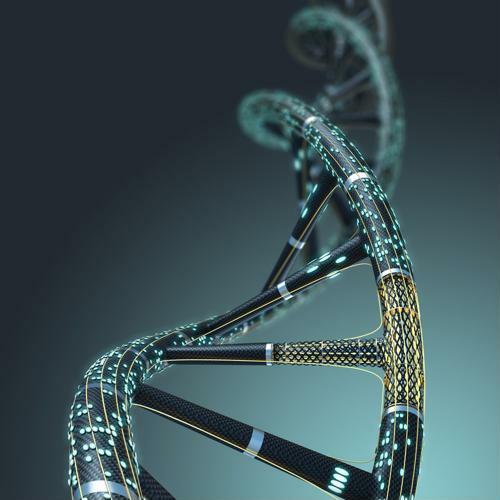 The 21st century has seen advancements in genetic technologies that revolutionized sequencing capacity with the rise of next-generation sequencing (NGS, also known as massively parallel or second-generation sequencing). These discoveries have fostered unprecedented scientific inquiry, diagnostic capabilities and clinical genetic inquiry. Thus, the costs of clinical whole-genome or targeted sequencing analyses are no longer prohibitive to clinical availability and application. This has dramatically changed the landscape of genetic analysis, testing and counseling, placing sequencing capabilities once only attainable by select scientists at major genetic institutes into the hands of individual investigators, clinicians, and third-party enterprises all over the world. Importantly, as the wave of NGS clinical genetic applications and availability continues to rise, we must remain aware of the significant challenges that need to be addressed. In particular, there should be an emphasis on the growing need for "next-generation genetic counseling" and the clinical implications of storing, interpreting, and communicating NGS patient data. In this article, we will discuss the current landscape of next-generation genetic counseling, including the clinical testing and interpretation of NGS patient data, as well as the infrastructure to support NGS applications and the future direction of the field. The potential magnitude of this data means there not only must be sufficient counseling prior to obtaining results, but substantial discussion in each clinical practice about how to make informed decisions regarding use, threshold of uncertainty for disclosure, and unclear results. Expectedly, the growing availability and applicability of NGS data has ushered in a new era of genetic counseling that will need to adapt dynamically to this ever-expanding field. The necessary infrastructure to address patient needs effectively is multifactorial as it includes technical, educational, practical, and medical aspects. Importantly, there remain significant barriers to implementation and optimization of each of these needs. Perhaps the most straightforward to conceptualize is the technical infrastructure; namely, the ability to acquire and store NGS data and how to implement the results into the electronic medical record. While seemingly obvious, there remain significant limitations at each practice and institution regarding this component and the manner in which it is performed varies drastically from site to site. The educational component is both patient- and provider-based, so there needs to be effective patient-directed education from a clinical or molecular geneticist and genetic counselors as described above, as well as an appropriate level of education at the provider level in order to do so effectively. This includes a working knowledge base and practical familiarity with testing methodology, genetic theories, and probabilistic reasoning, including Bayesian statistics. In turn, individuals can skillfully interpret diagnostic and risk-associated variants, and navigate what can be murky and confusing results. In part, some of this interpretation can be obtained from the genome-specific software from the testing company itself and used in conjunction with interpretive software at a given institution. Medically, there must be infrastructure to support continued education for providers and trainees for the appropriate incorporation of genetic testing into preventative health and diagnostic-based applications. There is no question that NGS technology has changed the landscape of clinical genetic testing in the present and for years to come. A rapidly increasing demand for genetic counseling is apparent as NGS applications become ubiquitous in clinical practice. This means that providers at various levels should be exposed to and trained in an appropriate amount of bioinformatics and genetics to be cognizant of the limitations and implications of patient NGS data. This includes being familiar with available NGS testing methodologies and clinical options , practical methods for managing variants of uncertain significant and incidental results, as well as determining when further testing or analysis is warranted. Most importantly, given the explosive growth in clinical NGS applications, the field will need to remain dynamic and continue to adapt to new and diverse clinical needs as they arise. 1. International Human Genome Consortium. Finishing the euchromatic sequence of the human genome. Nature 431, 931 945 (2004). 3. Biesecker, L. G. (2012). Opportunities and challenges for the integration of massively parallel genomic sequencing into clinical practice: lessons from the ClinSeq project. Genetics in Medicine, 14(4), 393 398. 4. Facio FM. (2014). A genetic counselor's guide to using next-generation sequencing in clinical practice. J Genet Couns. 2014 Aug;23(4):455-62. 5. Biesecker LG (2012). Next-generation sequencing in the clinic: are we ready? Nat Rev Genet. 2012 Nov;13(11):818-24.